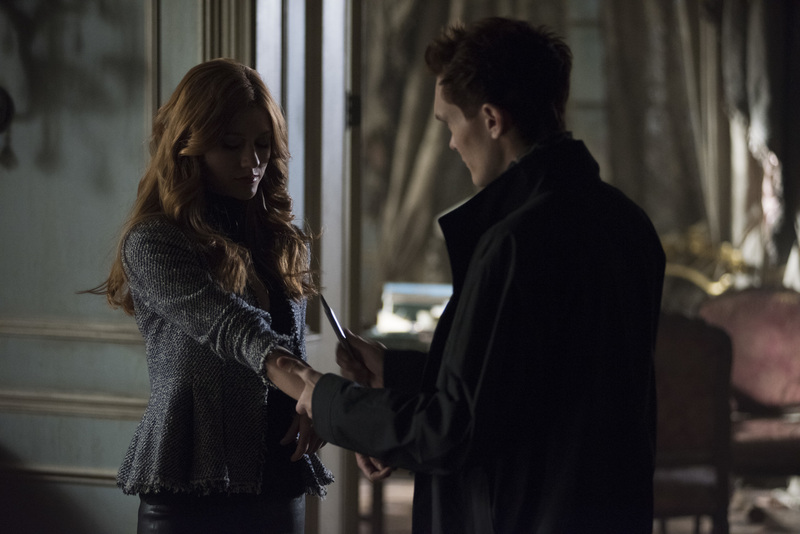 The Season 3B premiere of Freeform’s Shadowhunters ended with the revelation that Clary (Katherine McNamara) and Jonathan (Luke Baines) have been connected to each other in a new and dangerous way courtesy of Lilith (Anna Hopkins). Tonight’s installment “Original Sin” — airing at 8PM ET/PT March 4 on Freeform — will explore more of that, but also, we recently spoke to Executive Producer Todd Slavkin about this bond. You can see photos from Shadowhunters “Original Sin” below.